Patients with narcolepsy most often feel refreshed immediately upon awakening. However, patients with sleep apnea are still sleepy or foggy after a nap. Narcolepsy, or narcolepsie (from French vocabulary), is a rare chronic neurological disorder. This disorder is often confused with sleep apnea, due to similar symptoms. The difference between narcolepsie and sleep apnea consists in the causes that trigger this disorder. Moreover, the sudden loss of muscle control (cataplexy) happens only in patients with narcolepsy. For more info about sleep apnea symptoms, see Symptoms of Sleep Apnea. The main cause of narcolepsie is the brain inability to regulate sleep-wake cycles normally, inducing excessive daytime sleepiness and often disturbed nocturnal sleep. People with narcolepsie may fall asleep for periods lasting from a few seconds to several minutes. In some cases they may remain asleep for an hour or longer. 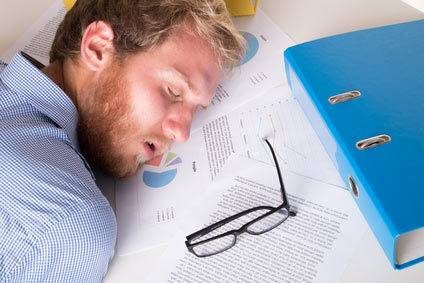 The main symptom is excessive daytime sleepiness, even after adequate nighttime sleep. It is obvious why narcolepsie and sleep apnea are so confused. People who have narcolepsie or sleep apnea often fall asleep at inappropriate times and places. Have you ever seen a narcoleptic? If you see a person who involuntarily fall asleep at work or at school, while having a conversation, eating or driving, then you found a person with narcolepsy symptoms. Other important symptom is cataplexy, or sudden loss of voluntary muscle control. This involves a sudden episode of muscle weakness triggered by emotions, such as laughter, surprise, anger or fear. The weakness may show up as buckling of the knees, drooping shoulder, limpness at the neck or a complete body collapse. In severe cases of cataplexy, the patient might fall down and become paralyzed for a couple of minutes. Narcoleptic patients remain conscious during the attack and are able to remember the details of the event afterward. Another narcolepsie symptom is vivid or hypnagogic hallucinations, that occur when falling asleep or waking up. These dreams are so lifelike that they can be confused with reality. 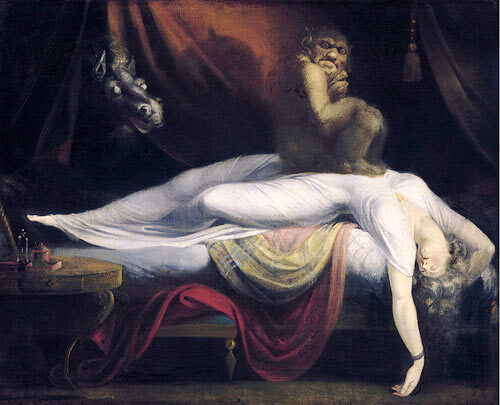 People who have narcolepsie may experience another terrifying experience, called sleep paralysis. This symptom is a transient inability to move usually when falling asleep or waking up. A person finds himself suddenly unable to move the limbs, to speak, or even to breathe, and he may have in the same time hallucinations. The experience of sleep paralysis is so scary that the patient may have extreme fear of dying, intensified by terrifying hallucinations. There is no cure for narcolepsie, but some symptoms can be controlled with various medications. For example, there are central nervous system stimulants that can maintain a wakeful state. These drugs are amphetamines, such as methylphenidate, dextroamphetamine and methamphetamine, which reduce daytime sleepiness. Antidepressants can prevent muscle weakness and sleep paralysis, but these drugs can react with other disorders which can cause complications. Please speak with your doctor before taking these drugs. For more info about the side effects of using these drugs, see Sleep Apnea Medication.